Quest Text: Clint wants you to give Emily an amethyst. He wants you to tell her it's from him. Requirements: Bring Emily an Amethyst. Stardew is a role-playing simulation video game. The reason for the popularity of this game lies in its ability to bring the players under its sway. This game incorporates several real-life quests which are required to be completed by making several strategic decisions. The game is actually more fun to play because it challenges the player to life-like planning and skilled deciding ability. As many people new to the game find it hard to locate way, there are certain player-manuals for each quest that provide reasonable guidance in finishing the missions. This brief manual is a step by step guide to completing a quest called ‘Clint’s attempt’ in which the player is supposed to find a stone and bring to a girl. Here’s how you can solve this quest. This quest will trigger off on the 6th of the winter season, and as usual, you will receive a mail about it in your mailbox. 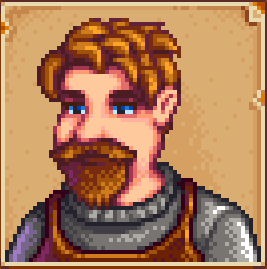 A blacksmith named Clint has requested you to find for him a special gemstone for a waitress Emily who works at the Stardrop saloon. The gemstone is called an amethyst. Luckily amethyst is not very difficult to come by, but they aren’t simply laying around the valley either. In order to find one, you will need to enter the mines that are located in the northeast of Pelican town. Once you are in the mines, search through as many levels as you can. The gemstone can be found on almost any level, so good for you that you won’t have to go too deep before you find one. You can get amethyst in a number of ways. 1. Kill the monsters: The monsters are likely to be in possession of amethyst, and when you kill them, they may drop one. 2. 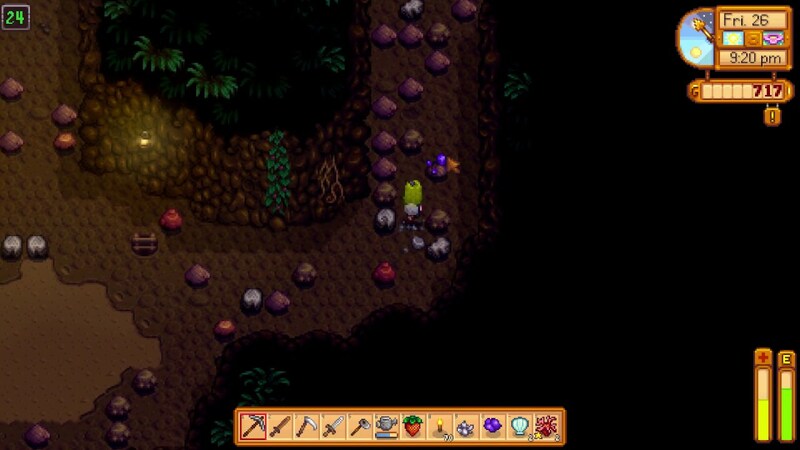 Open the crates: Crates are a great source for collecting different items in Stardew. 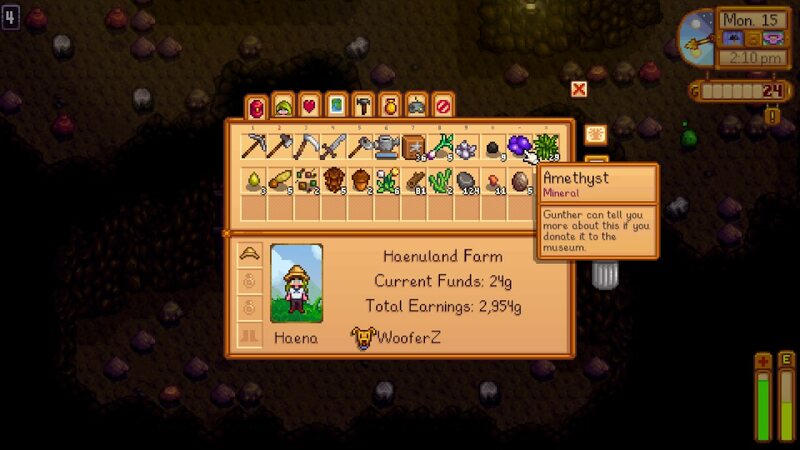 To find the amethyst, open the crates as a crate may contain amethyst drop that can be collected. 3. Bashing the rocks: To be specific, you will want to search for rocks that have purple crystals overhanging from the sides. These rocks are sure to contain Amethyst almost every time. These rocks are highly likely to appear on or before you finish delving deeper around thirty levels in the mines. 4. 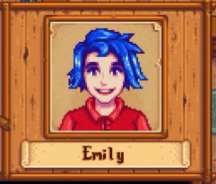 Having acquired the amethyst, you might want to bring it to Emily. 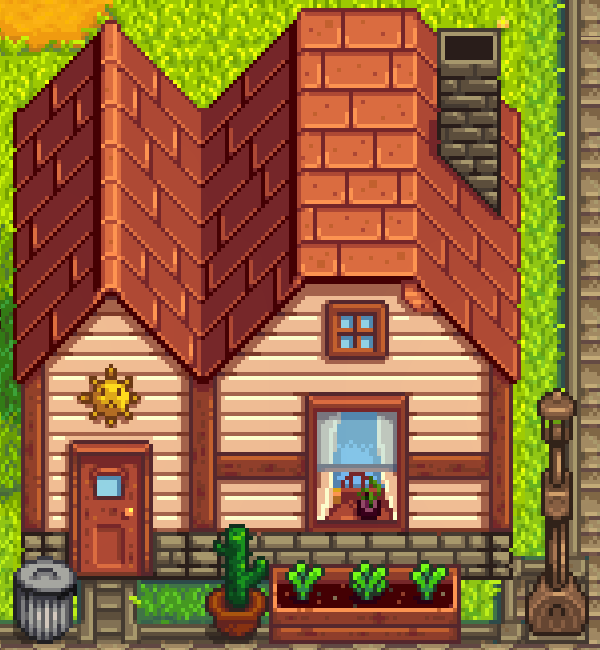 She lives in the south of Pelican town at 2 Willow Lane. 5. Emily comes out of her bedroom around 10 am each day normally. If she is not there, then the most appropriate to look for her is Stardrop saloon. The saloon is located near the centre of town where Emily works in the evening. As soon as you deliver the Amethyst to Emily, you will earn a big jump in affection from her as the girl has a stupendous love for these stones. Delivering the stone directly to Emily won’t really please Clint but the guy will not hold it against you at all.